We have several Grow options available. The Stainless Steel walls provide a Kitchen-Grade interior, which will get you ahead of the curve with your operation. Ventilation, A/C, security, and insulation modifications can help you make the Grow Box you need. Cargo containers are a great place to store your household goods, sporting equipment, etc. Partitions can make one unit into several smaller compartments. Man and Roll-up doors create easy access to different areas of the unit. The versatility of these units cannot be overstated. They make ideal guest rooms, spare rooms in general, or even portable offices. Air conditioning, electrical, and insulation options, along with windows and doors can make a unit as comfortable and convenient as desired. Are you looking for a solution to your storage problem? 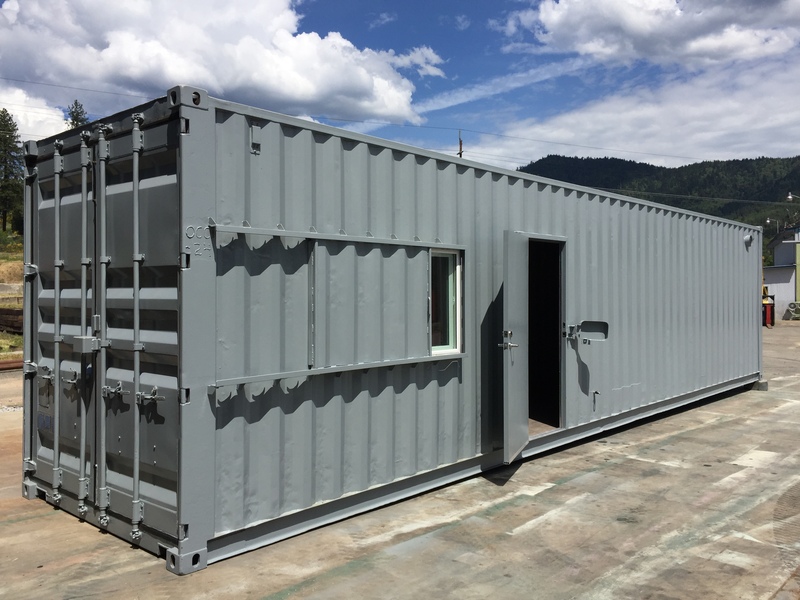 Our cargo/shipping containers are great for that extra space you need to make your life or business easier. Each of these containers are a Secure, Sturdy, Wind- and Water-tight space to store your tools, sporting equipment, etc. They are also great for your Grow needs. We offer modifications including (but not limited to) doors, windows, vents, insulation, and electrical installation, for example. Just ask us and we'll see what we can do for you. 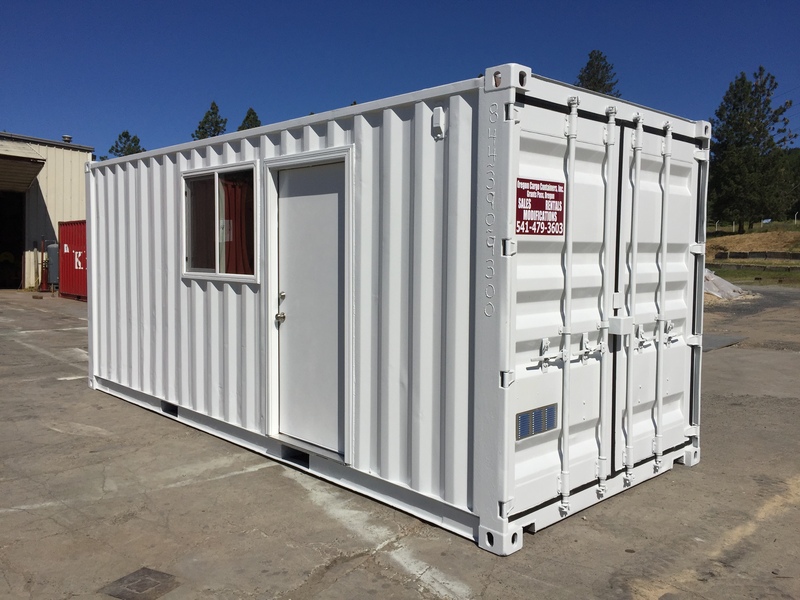 We have Standard (8'6") and High Cube (9'6") 20' and 40' containers for direct sales, rent, and rent-to-own. New (one-tripper), As-Is (wind- and water- tight and functional doors), and Reconditioned (rust ground off and primed, steam washed, roof jacked for runoff gradient and premium roofing sealant applied, your choice coat of paint, door handles raised, and lockbox added) availability. 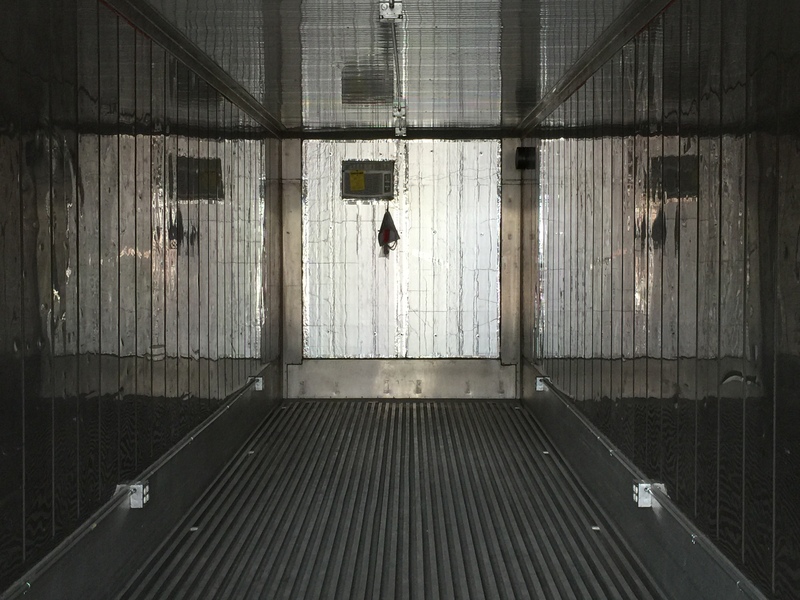 In addition to Reefer units, we also have 1" and 2" RMax Insulation options for the ceiling or the full unit. We can run conduit through your unit, mount air conditioning units, add more security options, and more. Whatever it is, we can make it happen. 40′ High Cube Non-working Refrigerated unit made as a Grower’s package.Fully insulated with electrical run throughout. A 15,000 BTU air conditioning unit mounted. Feel free to modify per your needs. This unit was made to be as secure as possible. A Reconditioned unit with security sliders over the windows, security cover for the man door, two vents, insulation, and an air conditioner. 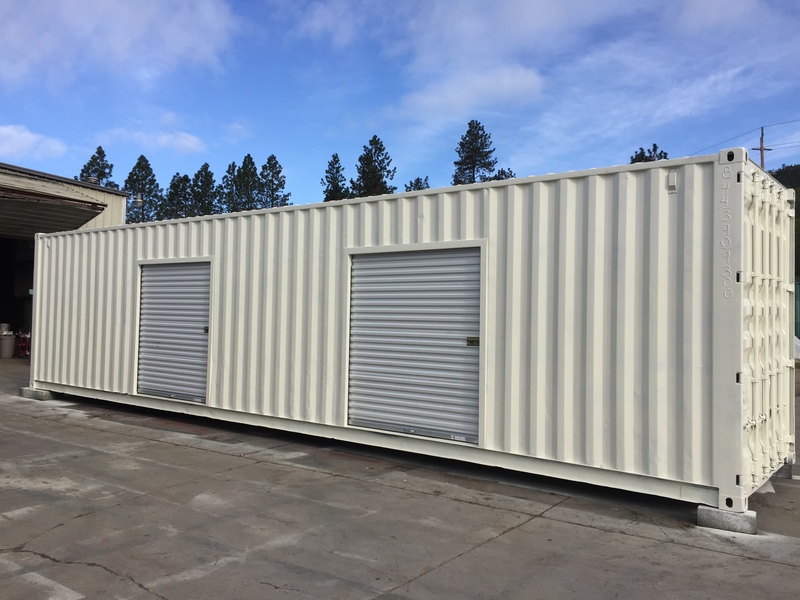 A custom-made storage unit that was made for B&L Mini Storage out of Glide, OR. Two roll-up doors made for easy entry. A partition was also added to separate both sides of the unit. A unit that was made into a guest room/living quarters for the client. A man door, window, electrical, air conditioning, and insulation turns a box into a solid and secure spare room.